I wanted to get some cut-out boots for so long, probably about a year. 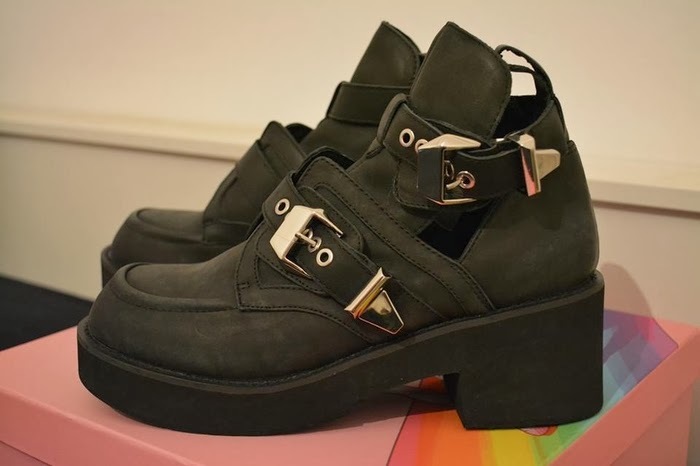 I never found any that I really liked except for the Jeffrey Campbell coltranes, which where sold out at most places. Then I thought just to go for some look a likes but then I found them in my size and they are amazing! They fit true to size and are really comfortable once you have worn them a few times! Also I like that they are quite chunky and give you a little height which is always a good thing!